Every member of the U.S. Senate and House of Representatives has received a grade on their votes during the last session of Congress on issues concerning transparency and the labeling of GMO food ingredients. The scorecard was prepared by The Cornucopia Institute, a Wisconsin-based farm policy research group watchdogging government and industry on matters impacting organic food and agriculture. In the House, 88 members received an “A” or a “B” on the seven legislative issues concerning GMOs. Six representatives scored an “A+”. In contrast, a whopping 196 representatives totaled zero points and received an “F” on Cornucopia’s report card. In the Senate, 29 senators received an “A” or a “B” for their actions, on behalf of consumers, on five legislative issues concerning GMOs. Nine senators obtained an “A+” in the GMO scorecard. Forty-seven senators fell at the opposite end of the spectrum, receiving a failing grade for scoring zero points with their legislative actions. 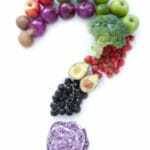 The bill, that made its way through Congress, was the catalyst for one of the largest controversies in the history of the organic movement. 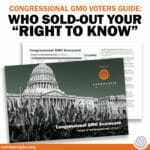 Almost 300 public interest groups and other organic stakeholders aggressively lobbied Congress to vote against the legislation which didn’t require agribusiness to label GMO content on packaging, and preempted states like Vermont from doing so themselves. 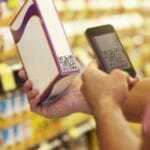 It was revealed that the organic industry’s powerful lobby group, the Organic Trade Association (OTA), and some of its largest members, had worked behind the scenes in support of the labeling law. Cornucopia contends the OTA position gave some members of Congress the political shelter needed to side with powerful ag and biotechnology interests. 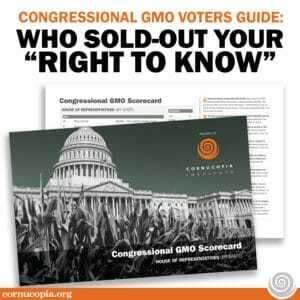 “We know that some members of Congress, who otherwise had positive voting records, were intentionally misled by the OTA claiming that it represented the entire organic community, rather than acting as a corporate-dominated lobby group long lead by such prominent agribusinesses as Dean Foods/WhiteWave, Smucker’s, Driscoll’s, Dannon/Stonyfield and Organic Valley” Fantle stated. The dustup has caused some well-known members of the Organic Trade Association to resign and it remains to be seen whether the voting scorecard Cornucopia put together will tip the balance in some close congressional races around the country. One of the hallmarks of organic agriculture has been food transparency. The use of GMO technologies is expressly prohibited in organics. The five House members receiving the highest score are Tulsi Gabbard (D-HI), Chellie Pingree (D-ME), Adam Schiff (D-CA), Louise Slaughter (D-NY), and Judy Chu (D-CA). The eight senators Cornucopia called “champions” are Richard Blumental (D-CT), Martin Heinrich (D-NM), Patrick Leahy (D-VT), Ed Markey (D-MA), Chris Murphy (D-CT), Bernie Sanders (I-VT), Jon Tester (D-MT), Elizabeth Warren (D-MA).